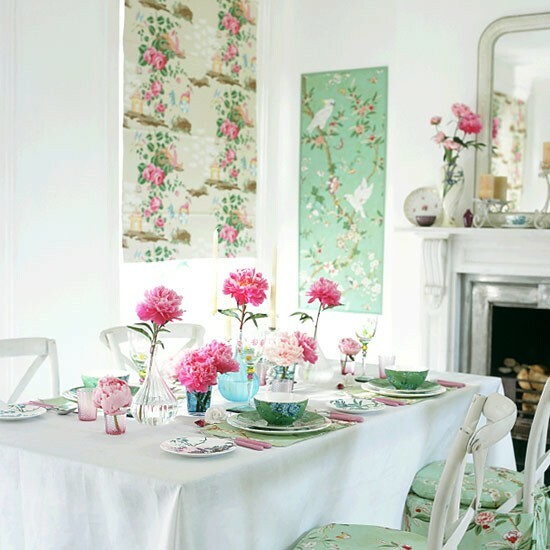 I came across this photo below of a dining room from the UK's House to Home featuring two of my Chinoiserie favorites. 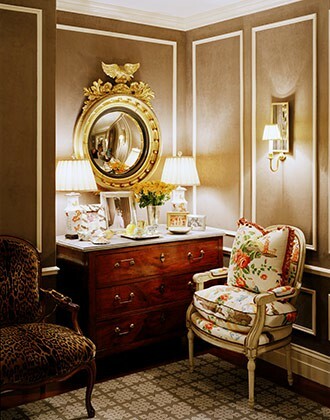 The wall panel and chairs are in Brunschwig & Fils Kanchou available in wallpaper and fabric. 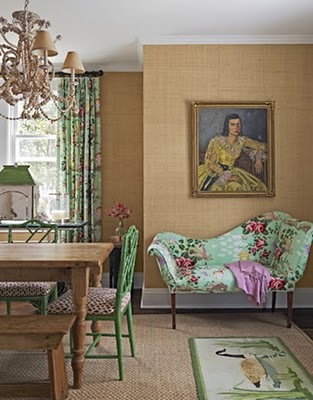 The window treatment is done in Scalamandre China Rose. 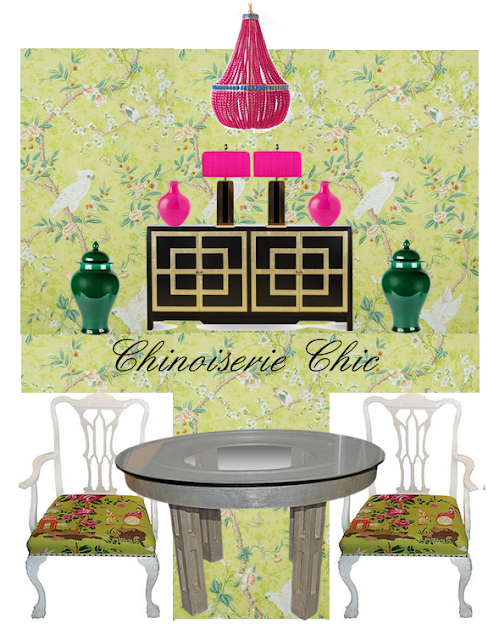 These are two great Chinoiserie classics that are great favorites of mine. Both are available in lovely colorways. 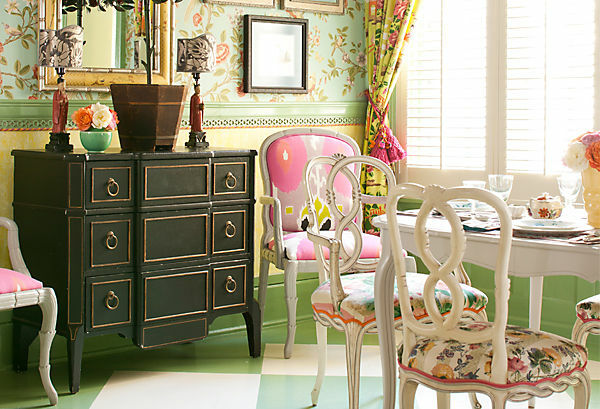 In my inspiration board, I have covered the walls in Brunschwig & Fils Kanchou in Chartreuse. 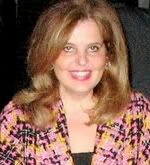 The hot pink beaded chandelier is by Marjorie Skouras. 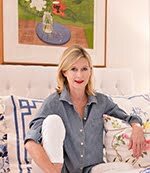 A Dorothy Draper Greek key black and gold cabinet from Charlotte & Ivy holds two vintage Chinoiserie lamps topped with hot pink silk dupioni lampshades and two hot pink vases. Two massive emerald green ginger jars flank the chest. The round table is a vintage silver leaf James Mont. 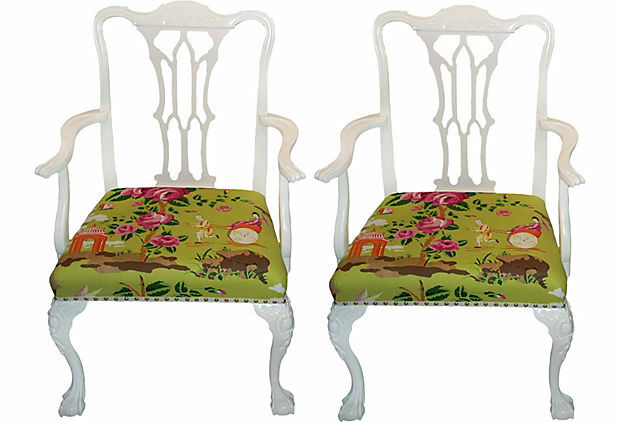 Vintage chairs are lacquered in high gloss white and the seats are covered in Scalamandre China Rose in Pink and Orange on Green. 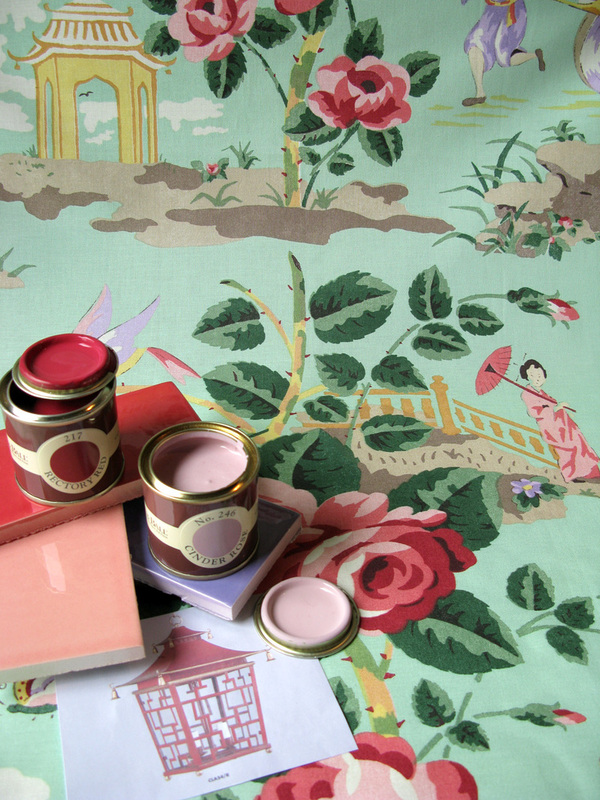 I have also included other examples of these two wonderful Chinoiserie designs for inspiration. 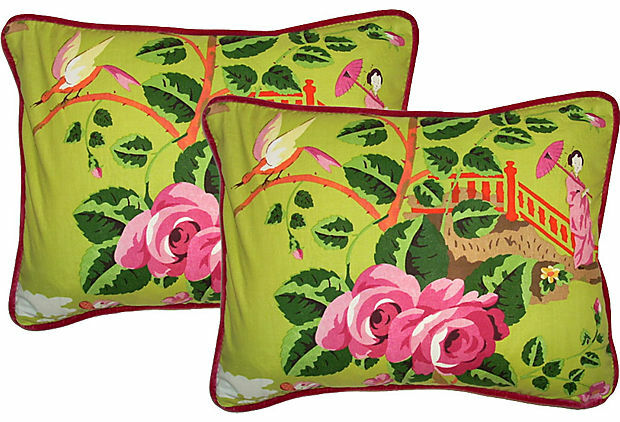 Beth I love the China Rose with the white, lime green, and mint green background colorways! 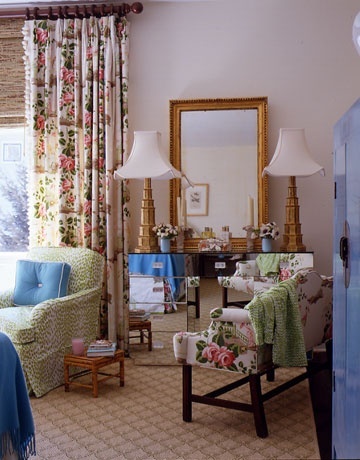 Stunning rooms! Yourpost has me giddy! 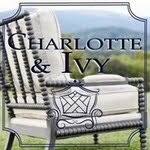 Love China Rose; having panels & a shade made as we speak in the lime; will post soon! 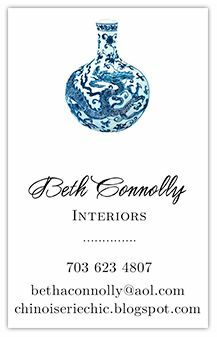 Beth, You are onto something with the paper! Def think cockateils are making a fast comeback! Just hung Thibaut Laguna in a bath which while not as elegant as the Brunswig is quite festive! That China Rose makes me absolutely giddy! Love it! Beautiful! 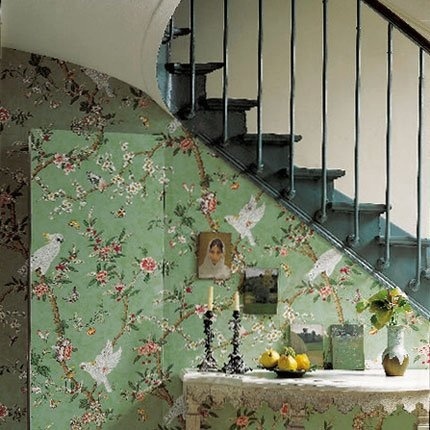 And totally off topic, I love wallpapered doors! They just seem so secretive and inciting. I have a small remnant of China Rose and I have no idea what to do with it. Such an amazing fabric!! Two of my favorites as well, Beth! Great post! !